Enter your email below to claim a free copy of this special report. Don’t wait… I’ll give it away only for the first 5,000 open-minded investors. You’ll also receive a complimentary subscription to The Weekly Profit, my free e-letter that dives deep into current US and world events and shows you how to earn market-beating yields with safe, stable investments. Sin stocks cater to what most people consider “sinful” practices: Drinking alcohol. Gambling. Smoking. By nature, these stocks are destined to carry a bad public image. Most investors, therefore, try to avoid them. This investor behaviour creates an anomaly that allows you to earn big profits with very little risk. Plus why these 3 particular sin stocks are outstanding buys. You get everything including the company name and ticker symbol. 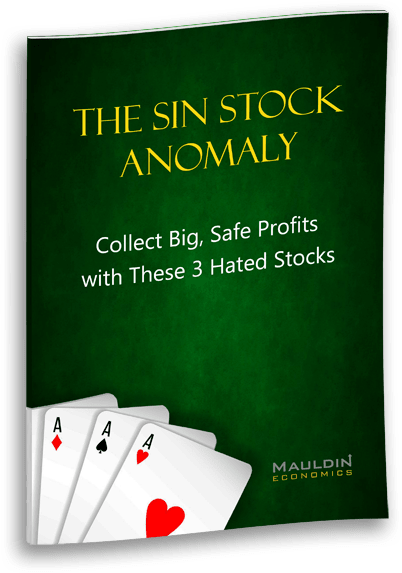 Robert Ross is Senior Equity Analyst at Mauldin Economics and the inventor of its proprietary Equity Valuations System, which uses 75+ criteria to find the best investment opportunities—just like “sin stocks”. 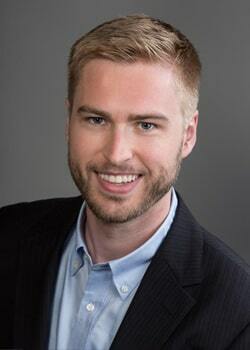 Having been mentored by legendary investors Grant Williams and Jared Dillian—Former Head of ETF Trading at Lehman Brothers—he’s become one of the youngest and most promising analysts in the business. Robert’s market commentary often appears on major financial outlets, including Marketwatch, Business Insider, Newsmax, Seeking Alpha, and Valuewalk—trusted by millions of investors worldwide. Add These Stocks to Your Portfolio Today—Claim Your Free Copy Now! Are you open minded enough to make some cold, hard cash from bad habits some investors just can’t handle? Enter your email below to get all the information you need to get started. You’ll also receive a complimentary subscription to The Weekly Profit, a free e-letter that dives deep into current US and world events and shows you how to make lemonade from "lemons" with safe, stable investments. Copyright © 2019 Mauldineconomics.com. All Rights Reserved.